Surgical Mesh (Hernia Mesh) is a loosely woven sheet which is used as either a permanent or temporary support for organs and other tissues during surgery. Surgical mesh is created from both inorganic and biological materials and is used in a variety of surgeries. Hernia surgery is one of the most common current applications of surgical mesh. 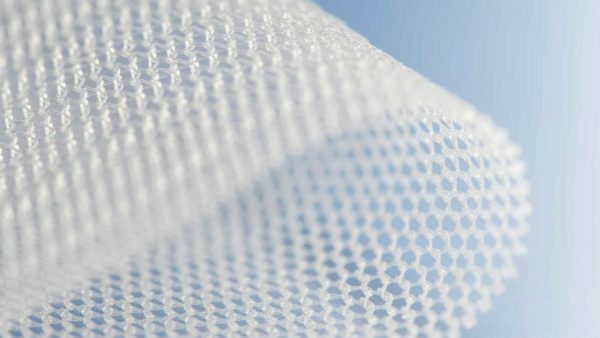 Polypropylene (PP) is the most frequently used type of mesh, although it may be uncomfortable for the patient after implantation. Another type that is less utilized in hernia surgery is polyethylene terephthalate (PET), which faces complications in that fact that it easily degrades after some years of implantation, erasing the effects of the surgery. Polytetrafluorethylene (PTFE) is used as well, but is manufactured in the form of a foil and has difficulty integrating into surrounding tissue, therefore it loses stability. Common symptoms of mesh failure include; bloating or an inability to pass stools, heat and soreness around the surgical site, noticeable lump in or around the area of the original hernia, fever, nausea, and vomiting. Please contact our Surgical Mesh Lawyers today at 1-866-734-5291.